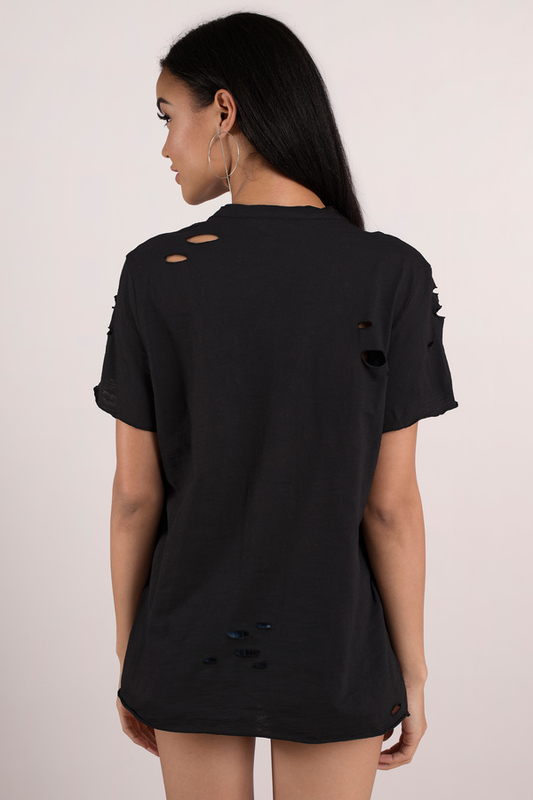 Check out Tobi's Let You Go Choker Tee LA's most wanted in the Let You Go Choker Tee. 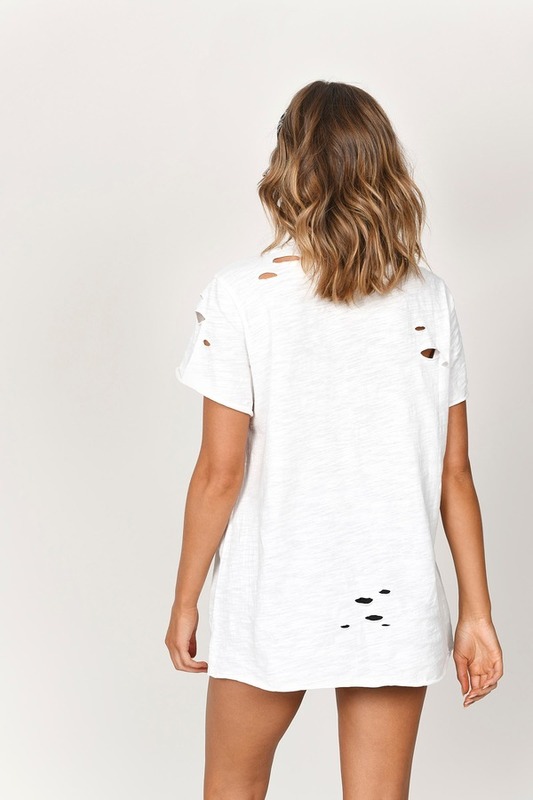 A statement making distressed tee featuring a choker v neck, soft fabric, and cute hole details because fashion. It's a choker top that's waaay more than basic. But basically, you need this. LA's most wanted in the Let You Go Choker Tee. 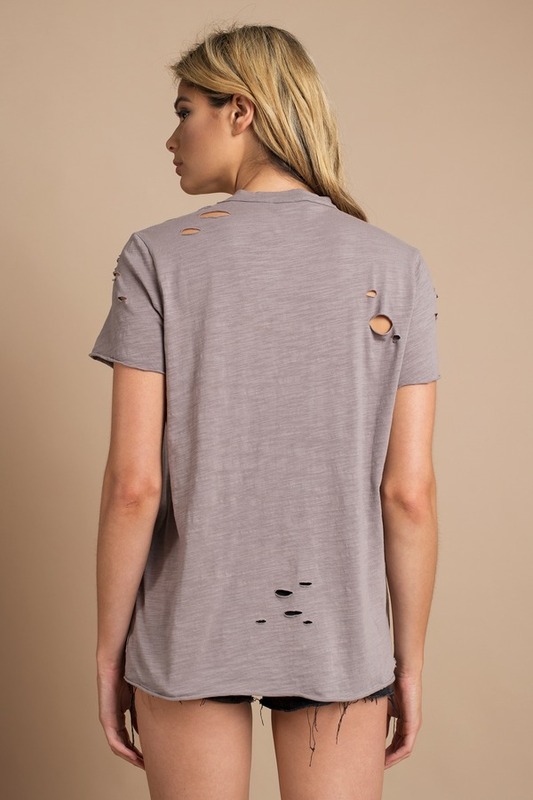 A statement making distressed tee featuring a choker v neck, soft fabric, and cute hole details because fashion. 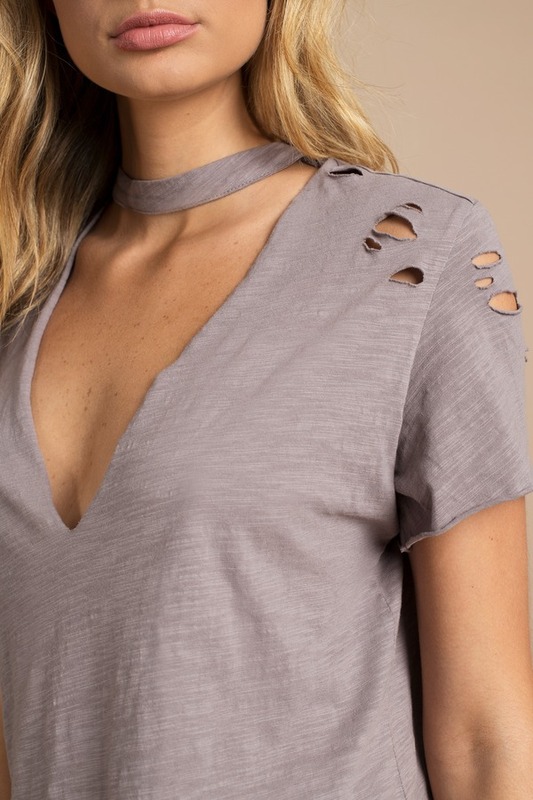 It's a choker top that's waaay more than basic. But basically, you need this.